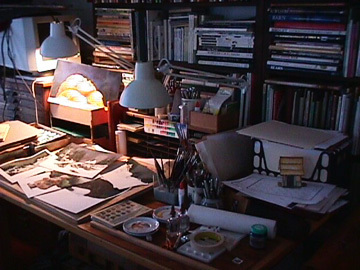 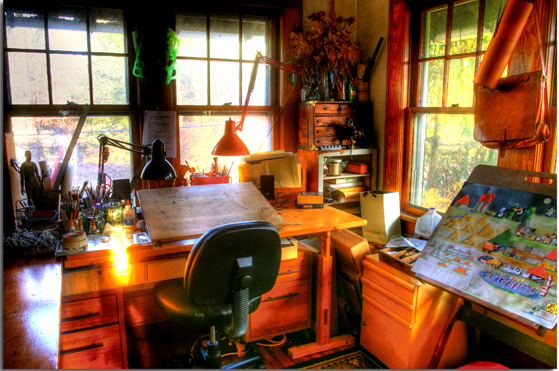 My work space is usually cluttered as I work! 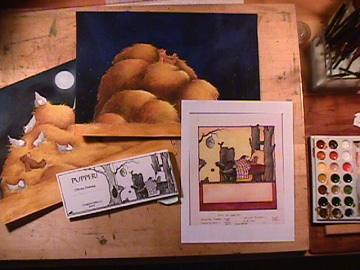 These photos show full colour studies as I am working on characters and their setting. 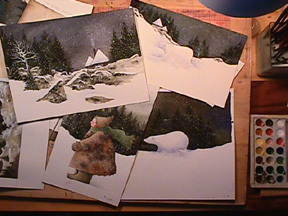 I usually do a number of "finished" studies so that my editor and art director can see the style for the illustrations. 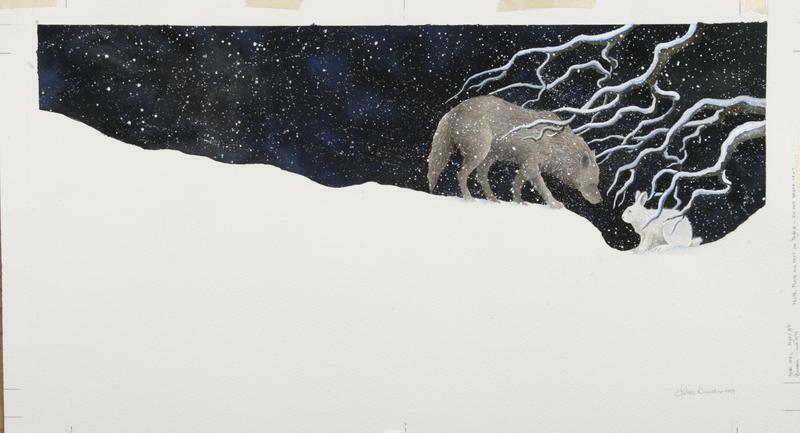 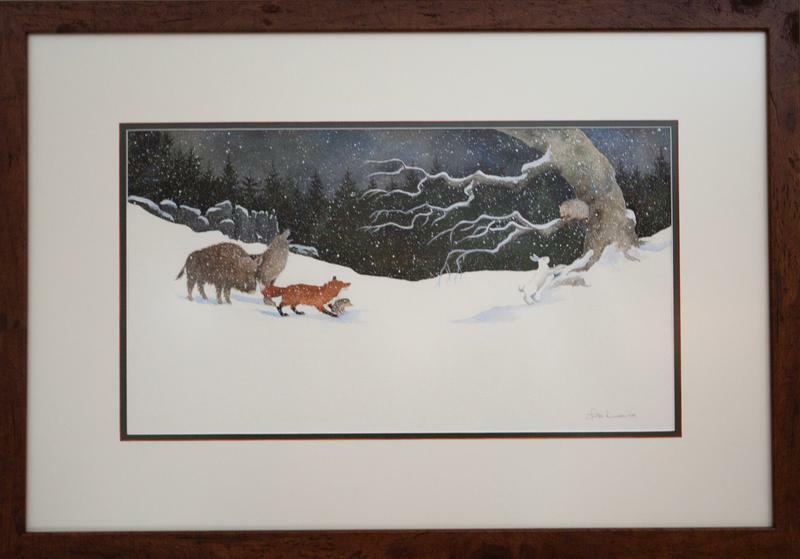 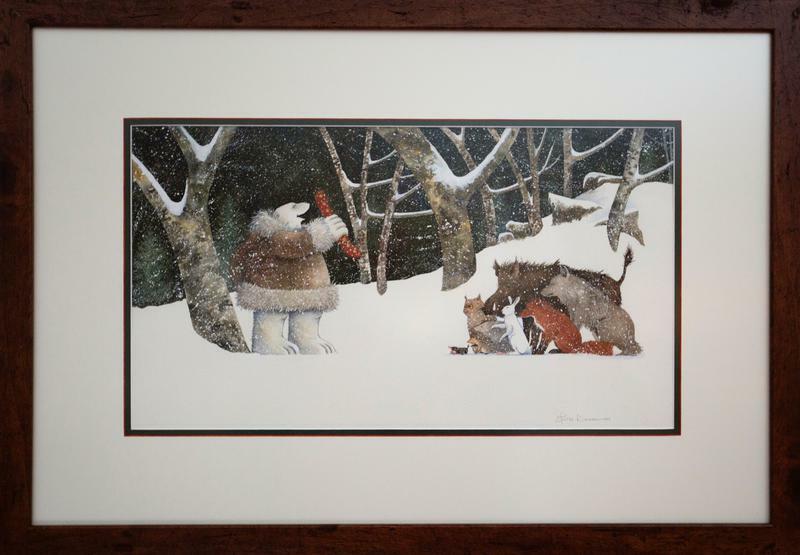 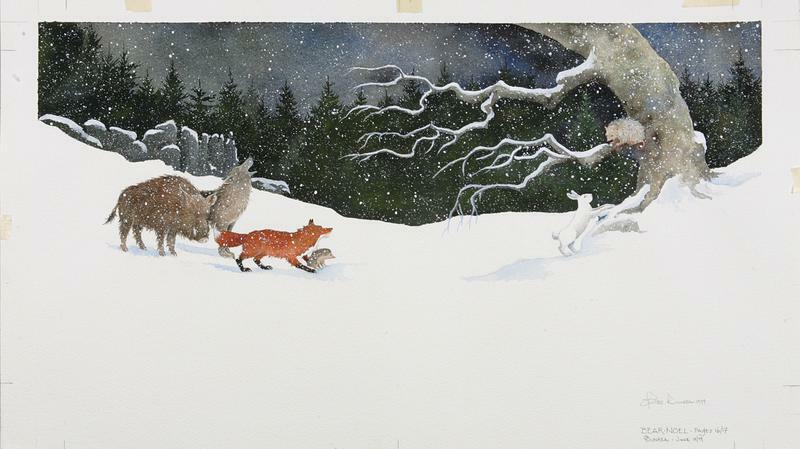 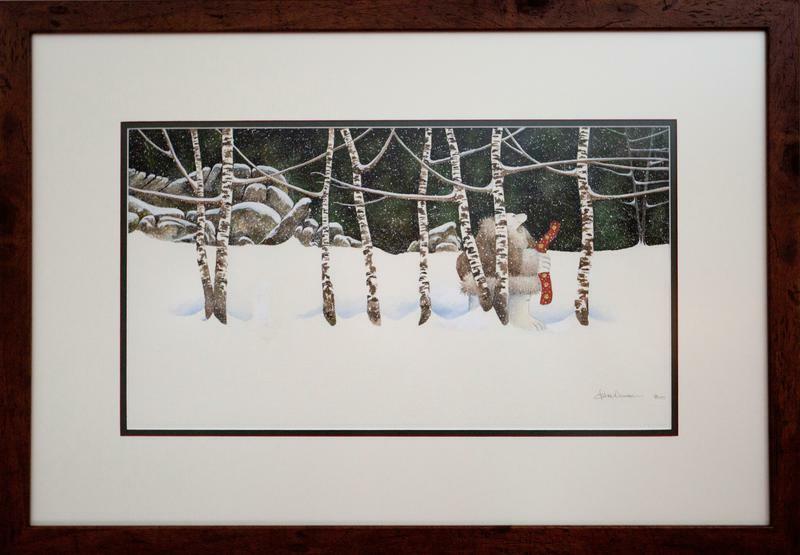 This is an unmatted/unframed spread from BEAR NOEL. 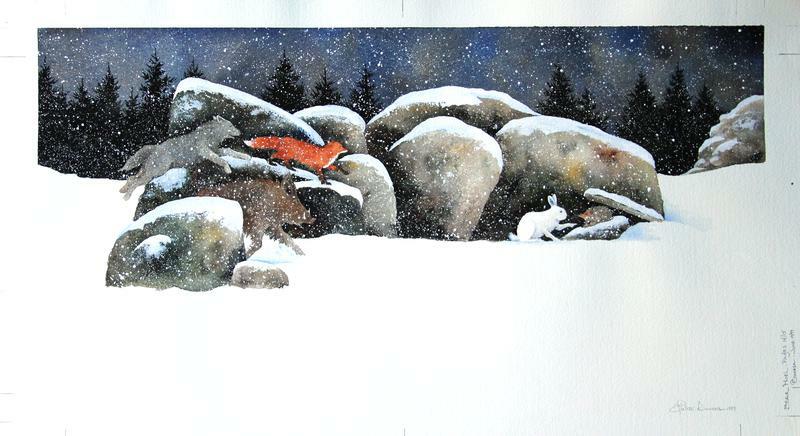 The painting is done in pencil and gouache on 140 lbs ROUGH d'Arches watercolour paper. 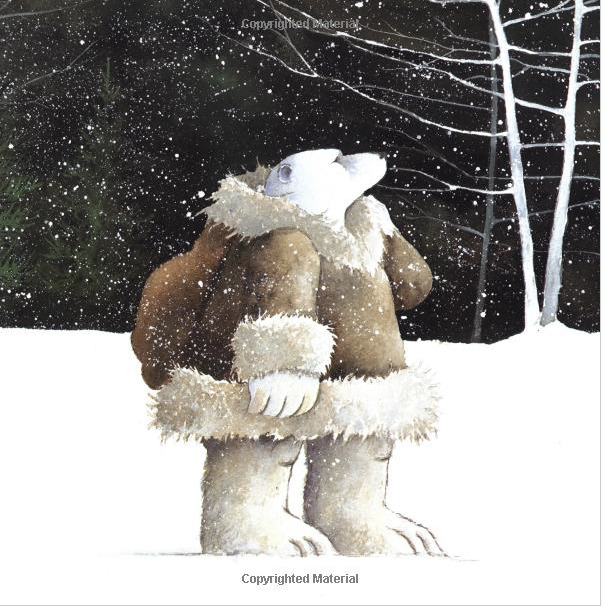 This is one of my favorite illustrations from BEAR NOEL! 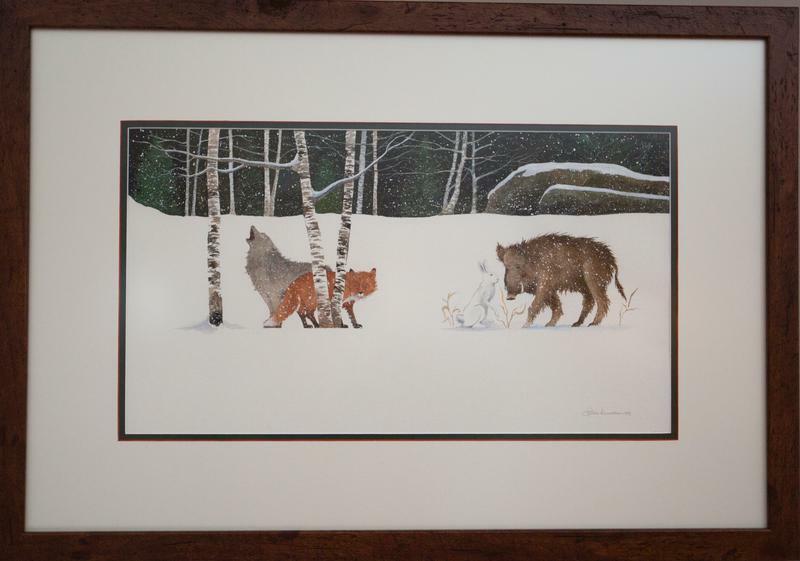 Two more unmatted/unframed spreads from BEAR NOEL.